For the past few years house plotting in Nepal has really increased. Urbanisation is so rapid that not even high hills were left out. 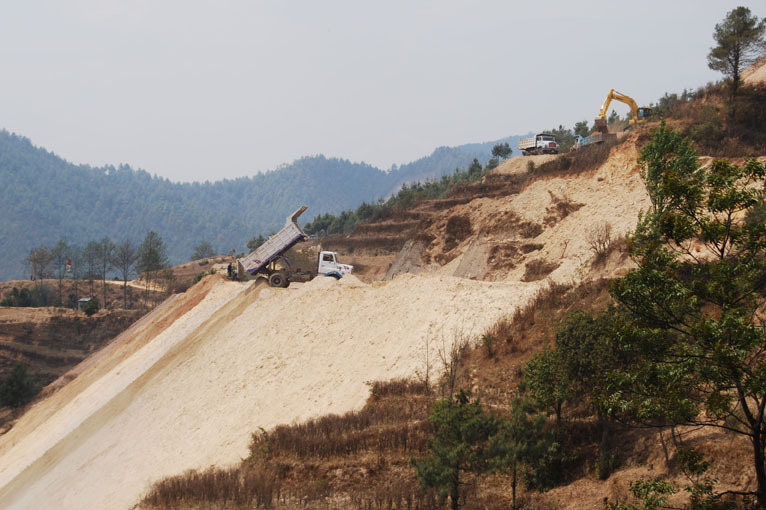 In this picture whole hill is dug out for some nature lover who wants his home in between scenic view of Kathmandu valley.